This entry was posted in Nature and tagged autumn, autumn solstice, blue heron, fall, lake, moon, nature, seasonal change, solstice, wildlife by composerinthegarden. Bookmark the permalink. Liz, thank you for stopping by and commenting. Tintinnabulation is one of my favorite words, and a wonderful word to describe the nature chorus here in the garden. I enjoyed visiting your blog as well – such beautiful macro flower images! Gorgeous pics, as always, and the prose brings me to a place of peace as I meditate on your photography that I needed. Hope all is going well with your current project. I am also immersed in the final portion of my project. It truly feels like birthing a baby. Thank you for taking a moment to share the loveliness of your talent with us! Hi Lynn, lovely water filled images including the sky. Loved that picture of the black sky with the moon lighting up the clouds. Hi Chris, and thank you. 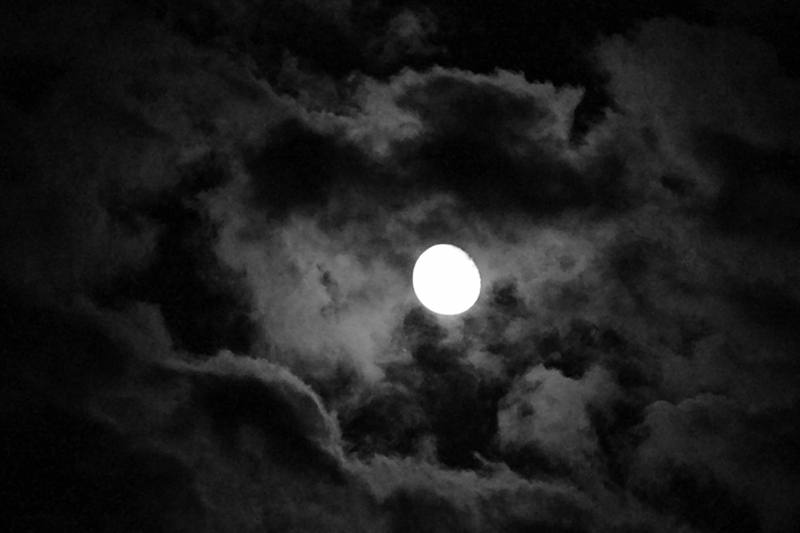 The moon and clouds that night were absolutely magical. My best view was in the middle of the road in front of our house, so my husband kept watch for cars while I filmed. Fortunately, not a very busy road late at night! Evocative writing, and some lovely images too. We have had the first fogs of Autumn over here, the season is on its way. I love it. Gorgeous photos, Lynn; happy to hear you’re having such wonderful adventures. Merry autumn to you and joy in your creating! Thanks, Kitty; every morning is a joy in this cool weather! Nice set of images, Lynn. I can’t wait to see the results of your video project. Thanks, Kerry. I’m gearing up the video production for the next few weeks, but it might be a while before anything appears here. Cynthia, thank you for commenting and for all the likes! I’m so glad that you enjoyed the post. Thank you, Diversifolius! We are so lucky to live near this park – it is about 3000 acres and very beautiful, lots of wild areas as well as park amenities. Beautiful shots. Sorry about the shoe! Cannot wait to see the video!! Thanks, Audrey! 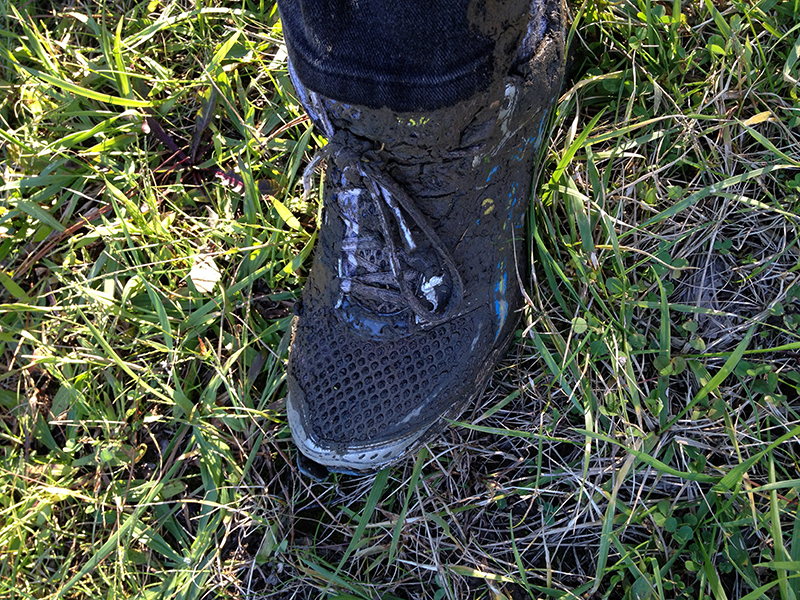 The shoe was on its last legs; I was just happy that I hadn’t worn my new replacements that day! The restoration seems to have been highly successful. Look forward to the video. My Scots ancestry would have demanded I leave the equipment safely and return for the boot! Hah! I did return for the shoe after I finished filming but it was so disgusting and at the end of its life anyway that it went into the trash. Even my Scots/Irish husband didn’t protest the decision 🙂 Yes, the lake restoration was long in coming but so well done that the return of fauna and flora was wildly successful. We are unbelievably blessed in having this wonderful habitat only a mile from our house. A favorite place to visit! Magic to have somewhere like that so handy.